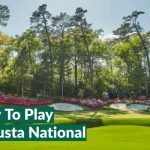 Only a day away from the final major of the golfing calendar, fans around the world will be licking their lips at what should be an exciting and fascinating four days of championship golf at The PGA Championship. 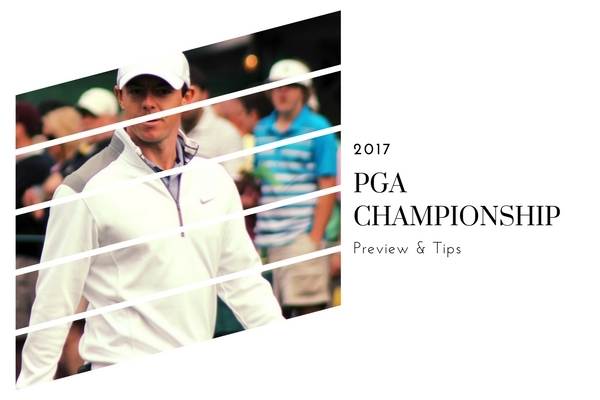 Here at Your Golf Travel, we have put together the ultimate preview to the 99th PGA Championship; including a low down on Quail Hollow, betting odds and who we think will take home the Wanamaker trophy. Tomorrow afternoon, all attention will turn to Quail Hollow as it hosts its first ever major championship. 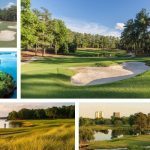 Despite the USPGA having been played in North Carolina three times before, the debuting venue will be sure to muster up challenges and surprising for golf’s elite. 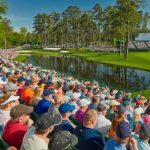 However, Quail Hollow Golf Club is no stranger to PGA Tour events, having hosted the Wells Fargo Championship since 2003 under the previous aliases of the Wachovia Championship and Quail Hollow championship. In 2015, Rory McIlroy set a course record on his way to victory with an 11-under-par, 61. So, the opening two holes have been merged into a single, par 4 measuring at 540 yards. The second hole is now a newly built par 3 while the fifth has been reduced from a par 5 to a par 4 with a dogleg right. And if that wasn’t enough, the 11th hole has been given extra bunkers with the green being pushed back……aaaaand breathe! Ultradwarf bermuda grass has been added to every green to make them smoother, faster and ultimately better. What is the Green Mile? Rory’s record around Quail Hollow is impressive and recent suggest this could continue. He is the most likely winner but he is short in the odds so might not get my money. I think the last time Rory came through for me when I had money on him was zt the 2014 Open, where I had him to win, as well as being first round leader. Cheers Rory…nice wedge of cash that got me! 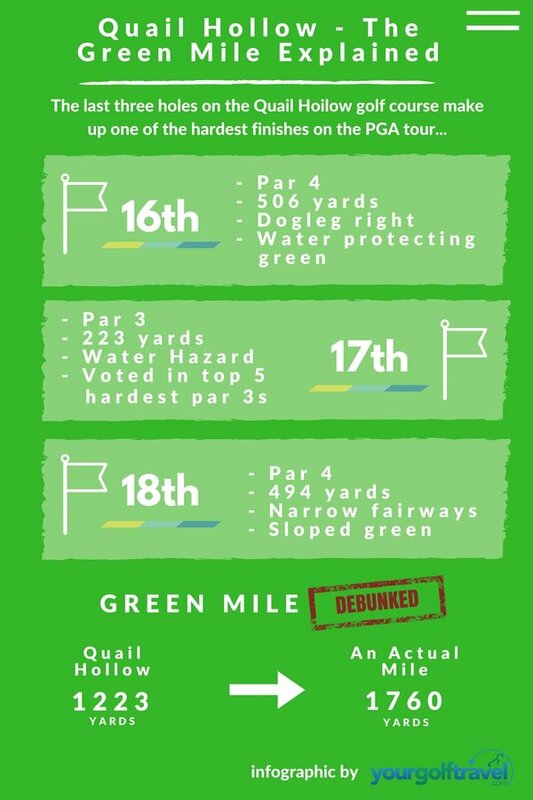 I also backed McIlroy at the US Open as all the noise leading up to the event was that driving would be at a premium due to the length of not only the course, but the rough awaiting any stray tee shots too! That didn’t go so well for me but a strong showing at The Open, followed by more solid play at Firestone last week suggests his game is trending in the right direction. We all know Rory is struggling on the greens but to my mind he’s always been a streaky players and a streaky putter and I’m still of the opinion that when the putter does click, he’s pretty close to being unbeatable. Every year at The Masters the focus is on whether Rory can complete the career grand slam and deep down inside, I think he’d be upset if Jordan beat him to it. That might be the extra bit of motivation he needs to bag the Wanamaker Trophy for a 3rd time. McIlroy also has history at Quail Hollow, having gone back-nine-birdie-bonkers in 2010 to win his first PGA Tour title, as well as bagging another win here in 2015. In fact, apart from a solitary missed cut, he’s never finished outside the Top 10 here…horses for courses and all that eh? Not a huge surprise to pick him following his win at Bridgestone in The World Golf Championship. His final round of 61 was incredible and the type of thing so rarely seen to close out and win a tournament. Whilst many will look to McIlroy for form at Quail Hollow, Matsuyama has a T11 (5 shots back from the winner) in 2016, T20 in 2015, T38 in 2014, so whilst there isn’t a win there his results are certainly going in the right direction. His 3 wins this season have all been within some seriously high quality fields with 2 WGC Championships and The Waste Management Open. Whilst he is yet to claim a major victory, it is surely only a matter of time before he wins one given his form. More of an emotional pick than anything, but he’s in really good form, had a week off and I just have a sneaky feeling. I think DJ will be back at it this week as he’s slowly coming back to form following his injury at The Masters. He played well at The Open, in stages, and shot a 64 on day 3, only to be overshadowed by Grace’s record 62. 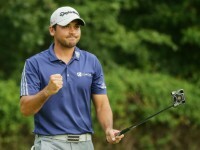 He followed up this encouraging start with a T8th at the Canadian Open the following week and finished T17th last week at the WGC with a 75 on day 2. So if DJ can put to bed the 1 bad round, he’ll be right in contention this week, and after-all he is still World Number 1 and with the start to the year he had, I’m certain he’ll win again this season. I backed him for the US Open and was horribly wrong. I backed him again at The Open and even though he didn’t win he finally showed some stability. Following a decent weekend at Firestone Country Club, I’m backing him again. With his best mate by his side, I think his long drives and new-found motivation to stop Spieth’s grand slam will see him be victorious come Sunday evening. So…who wins The #PGAChamp this week? Other than Rory it is close between Thomas and Justin Rose. After last week’s good finish in America I think Thomas Pieters will settle better and push on to be in the top for sure. A great player for the future but recent form gets my vote. I’ve picked Rors to win so this one’s a formality! Seems a bit easy to go for Rory. After a sketchy start to The Open he seems to have regained his mojo with solid finishes at Royal Birkdale and Bridgestone. A lot will be made of his change of caddy but given it is one of his best friends on the bag I don’t think that is a problem in the short term, anything that makes you feel more comfortable on the course is surely a good thing. He’s been picking up steam the past few weeks and looks in good shape to contend this week, following a T4th finish at The Open and a T5th last week at the Bridgestone. Also coming back to the place where he won his first PGA Event and where he has finished inside the Top 10 in his last 5 visits here, can only suggest good things again this week. Hasn’t made too much of a splash since his inaugural Masters win back in April but I think some typical Sergio consistency could see him near the top of the leaderboard. After pulling off his green jacket at his wedding last month, masters form to return! He has got to win a major soon surely. recently form and previous around Quail Hollow means I will keep the faith. Definite chance if he can put 4 good major rounds in. It’s pretty tough to look past Jordan Spieth right now as far as Americans go. Back to back wins at the Travellers Championship and The Open were followed by another great performance at Firestone so he’s in a really good vein of form right now. He’s also got the added motivation of the potential career grand slam, which I guess could be a blessing or a curse, but how can you go against a player whose gimme range is about 25 feet?! Again, not a hugely surprising choice, although I’m sure a lot will opt for Spieth. Fowler has form at Quail Hollow having not only tasted victory in 2012 but also some solid finishes including a T4th in 2016. He looks like a changed player of late and I’m sure it is only a matter of time before he kicks on and claims a major which has thus far eluded him. Mr consistent at the moment and love the attitude he showed at Firestone this week when taking on the monstrous par 5 in 2. Would not surprise me if he won. Quail Hollow is a narrow course so it will favour the straight hitters. Zach Johnson is within the Top 20 for driving accuracy on tour, but more importantly he’s coming into the best form on tour with a 2nd place finish last week in the WGC, T14th at The Open and T5th at the John Deere Classic the week before, and we all know he’s good at creeping up the leaderboard to win Majors. My only concern for Zach is that it’s becoming increasingly rare for short hitters to win so if the fairways become soft, it will favour the longer hitters this week. Expecting him to creep back into the contenders list following his injury earlier this year. A tough one but his form isn’t as strong as others. It is a wide open major this time around and picking one player is hard. If I had to choose it would be Jason. Since his slip-up at The Masters, DJ’s form has been nowhere near as impressive as his early season form. He’s been decent of late but a missed cit at the US Open, which was held on a course seemingly made for him, shows he’s not immune to major championship pressure. I don’t have any real reason for DJ not to play well at Quail Hollow, but I had to go for someone! It is pretty tough to find a player at the top of the world rankings that isn’t going to contend so have looked to the incredibly likeable Kuuuucccchhhh for this (sorry). Just thinking that his exploits at The Open might have knocked him a little bit and hoping he’s just run out of steam. Chances are he’ll go on and win now after I’ve said that. Just not really on form at the moment, may get picked apart if he doesn’t find anything this week. Stenson has had a very hit and miss season with 6 Missed Cuts this year, including The Masters and The US Open, so it’s a possibility he could have another bad week in a Major this time around. I know it’s his 100th major and I know he has an impressive record at Quail Hollow – but no real success in four years and a missed cut at The Open makes me think it could be a tough weekend for lefty. Not the best at Quail Hollow, missed the cut 4 times in the last 7 years.